Los Angeles Comic Con is one of Southern California’s biggest pop culture events. 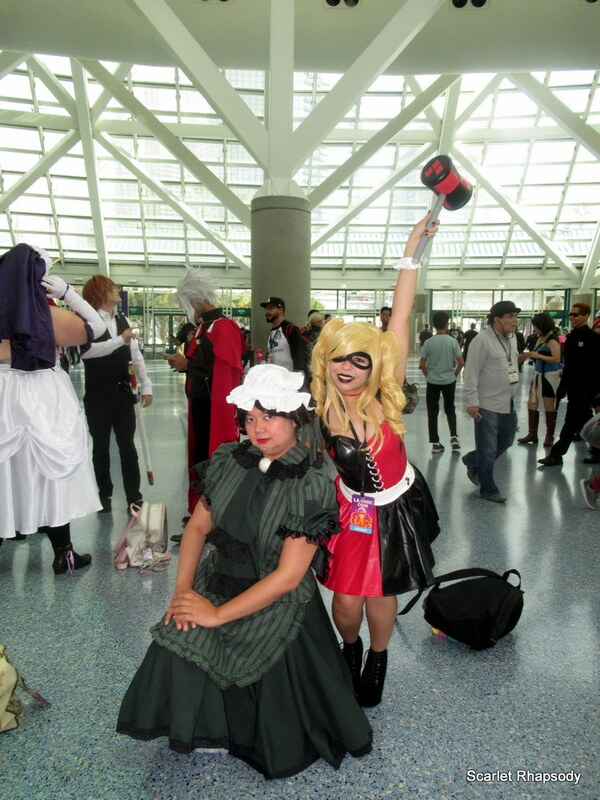 San Diego Comic Con, Wonder Con, and LA Comic Con are the big three events in Southern California for everything in entertainment and pop culture. 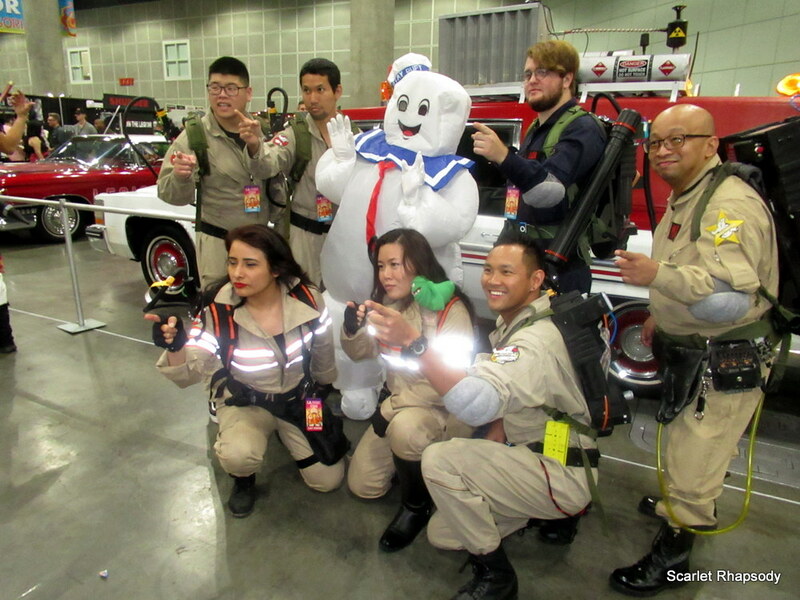 Los Angeles Comic Con always draws in many attendees from all over Southern California – it’s the last large event of its kind. This is a con that we have supported since the beginning when it was held in Kentia Hall. Now it’s taking over the LA Convention Center expanding their programming rooms into the concourse. 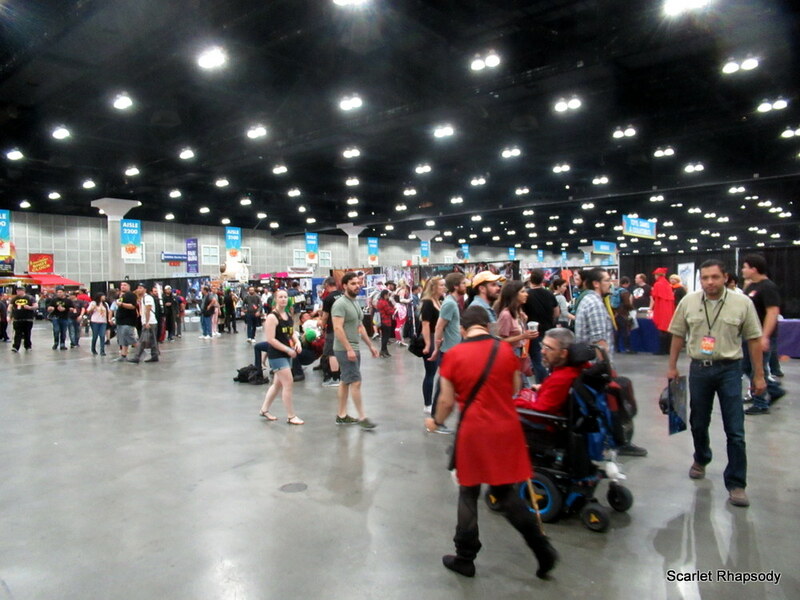 My favorite part about LA Comic Con is the expansive dealers hall. This is where guests flock to first. While Funko Pops are a main staple now at comic cons, I liked that the dealers hall had a ton of things to check out. The dealers hall was divided into different sections – horror, cosplay, autographs, comics, anime, etc. I strolled down the horror section and it had instagramable photo ops areas where you can pose with Beetlejuice, grab and axe from The Shining, and get up close with a replica of the Ecto-One. They also sold some spooky things to ring in the Halloween season. Jared got to meet Lloyd Kauffman from Troma Films. I was able to selfie with Tommy Wisaeu after I bought some Christmas presents from his booth. 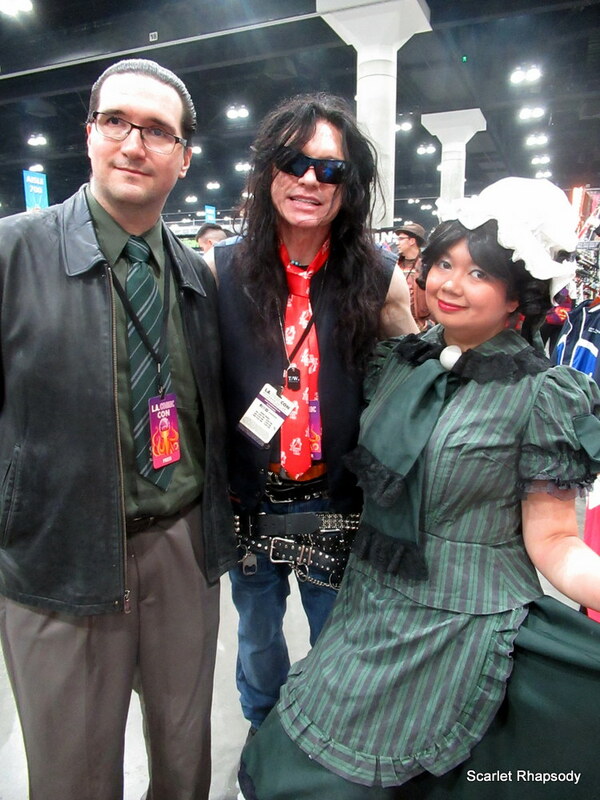 I went through the autograph section – most guests were charging for autographs and photo ops. I was very happy to see cast members from Steven Universe at LA Comic Con again. I was able to chat with Jennifer Paz, who voices Lapis Lazuli from Steven Universe. She even remembers me when we met at Little Tokyo! It’s little moments like these when guests remember fans that make conventions like this worth going to. 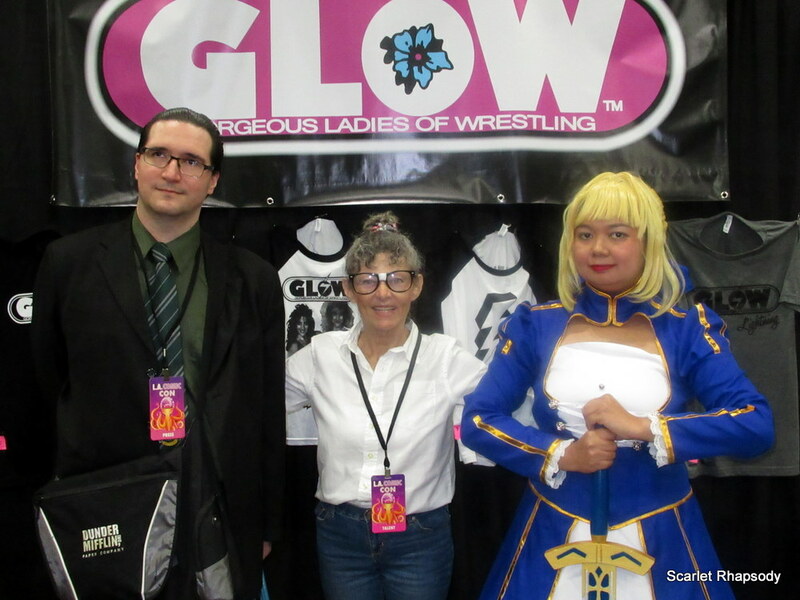 Autograph alley also had a few of the original wrestlers from GLOW, the Gorgeous Ladies of Wrestling signing and talking about their time in the ring. 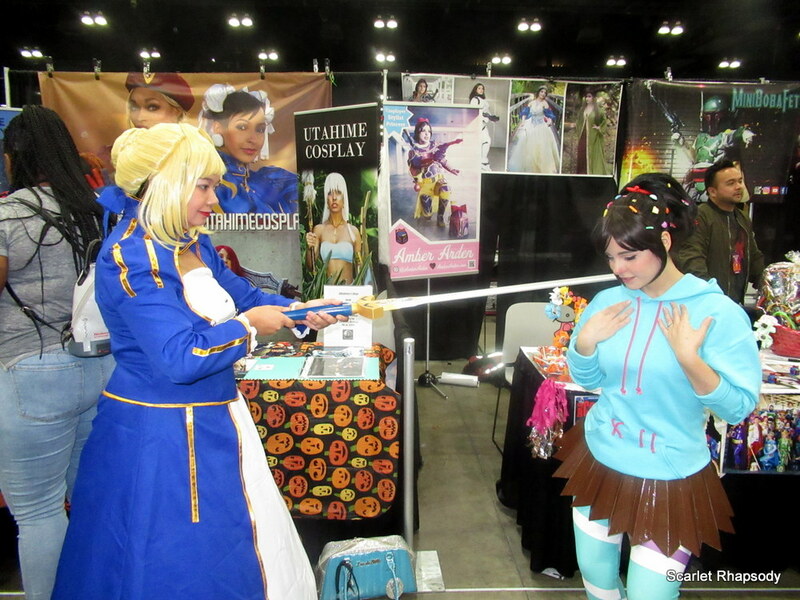 There were also vendors selling food at LA Comic Con. While checking out the cosplay contest, I went to the Scum and Villainy booth. I knew they were a popular dive in Hollywood catering to cosplayers, but I’m suspicious anytime a bar starts marketing to geeks. It turns out that Scum and Villainy are the real deal. 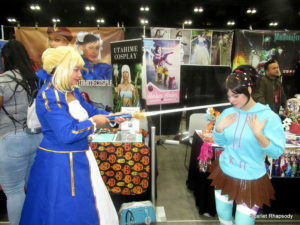 After talking to the owner, I bought a drink while I was watching the cosplay show. Other food and drink present were The Jerky Hut, a good place to get a quick snack and a booth that sold a chocolate bar version of coffee with the same effects! However, the MVP goes to Wild Bill’s Ole Fashioned Soda Pop Company. It was common to see people carry around a steiner filled with soda. If you bought a stein from this booth, it was unlimited refills for the day. I could not say “no” to that! I tried checking out a few panels. I was mixed on what was presented in the programming. I was dismayed by the paranormal investigation panel because it seemed like two girls sharing inside jokes rather than discussing the science behind investigation. Otherwise, there was not much in programming that really catered to my interests. However, I did like how programming rooms were expanded. I did not know until later on Saturday that there was a gaming room on the concourse level. The gaming room was poorly advertised; my gamer colleagues were unaware. 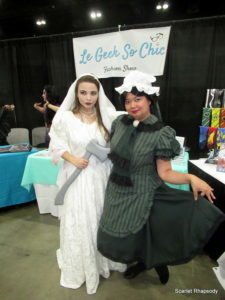 I did attend the Disney cosplay meet up on Sunday dressed up as a Haunted Mansion maid. 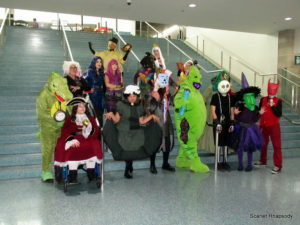 The meetup had children with disabilities attend from an organization that turns wheelchairs into moving cosplay props. 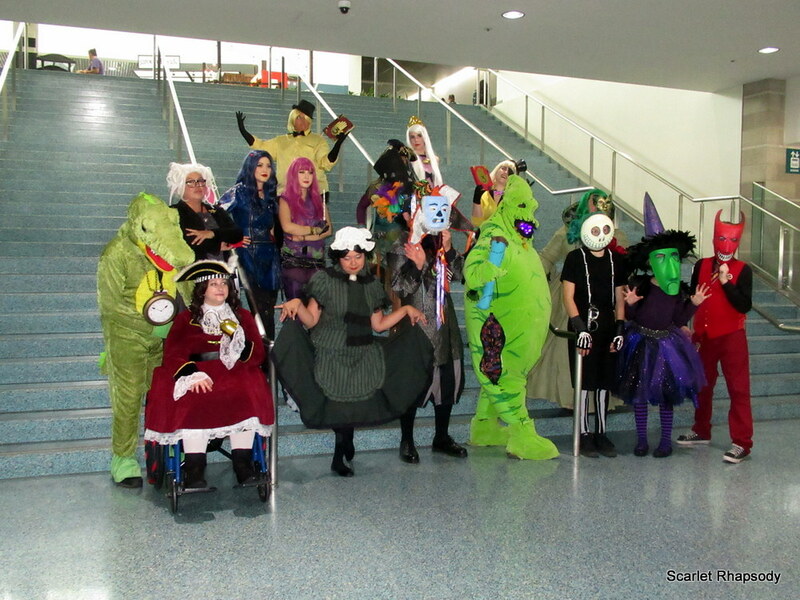 The meet up had characters from Disney and Pixar properties. 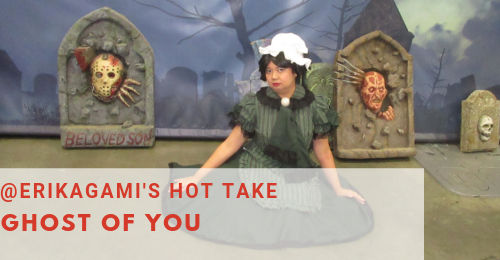 As a Haunted Mansion maid, I gladly posed with characters from Nightmare Before Christmas because they were using our mansion as an Air B and B for a few months. Many thanks to Robert for hosting this cosplay meet up. My main purpose attending LA Comic Con is to shop holiday presents for loved ones. You never know what you will find in the dealers hall. In the artist alley, I found a dealer selling a huge Cookie Cat pillow that we got our for nephew. One dealer was also selling gothic bath goods which we got for our in-laws. The greatest thing about shopping for gifts at a comic con is that you’re supporting small businesses and giving unique gifts you cannot find anywhere else. 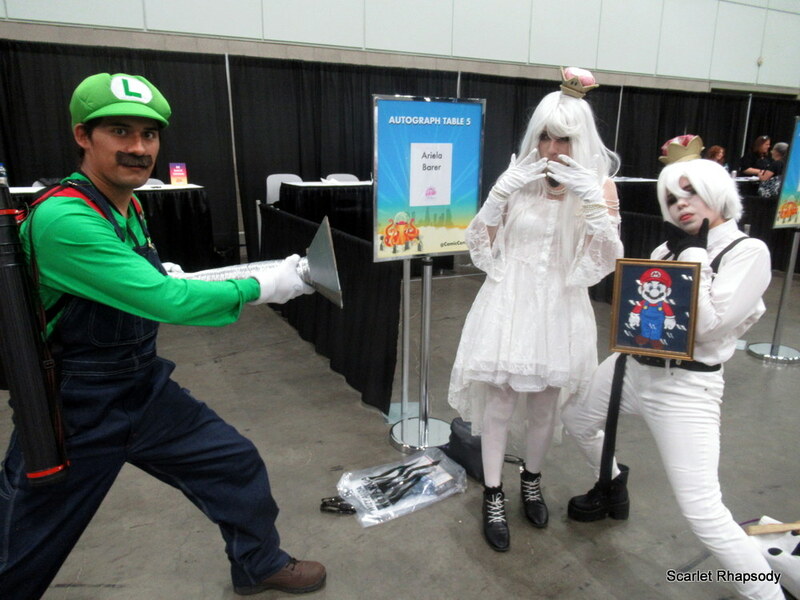 Overall, I enjoyed this year’s LA Comic Con. 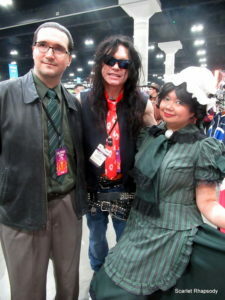 Even though panel programming was so-so, I used that time to do cosplay photoshoots and spend a little more time browsing through the dealers room, artist alley, and autograph alley. While this does have the feel of a large con, there’s still plenty of room to hang out with friends in between shopping and photo shoots. Though LA Comic Con is in the LA Convention Center, it never feels overwhelming or crowded as Anime Expo. We are looking forward to next year’s show – if you’re looking for a comic con that has everything and doesn’t have the SDCC crowds, LA Comic Con is a good choice.